Don’t be content with lies: Happiness is improbable when you are in bad physical condition. Happiness is waking up in the morning with zest for life, feeling tip top, light in your step, bright in the mind, fresh from the inside out! 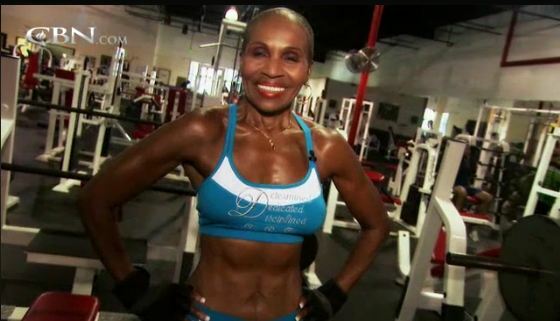 who lives this better than Ernestine Shepard! I always wondered what it would feel like to have a neat body, that didn’t need to be tucked in tight in support garments to appear neat and firm. One that didn’t need to be repositioned every 20 mins, adjusting this band and that belt, and then pulling things out of fat folds. The last time I was in that shape, I was probably 12 years old, and even then I thought I was a michelin man (body dysmorphia). Soon I will know.